By partnering with schools and community organizations, we can offer our educational and empowering programs to girls at their facilities. By utilizing well-trained volunteers to lead many of our programs, we can direct a larger portion of our operating budget to supporting our programs and serving girls. Our innovative approach allows us to maximize our reach in the greater Indianapolis community, serving thousands of girls with quality programming each year. Girls Inc. of Greater Indianapolis (“Girls Inc. Indy”) has been serving girls in the Indianapolis area since 1969. 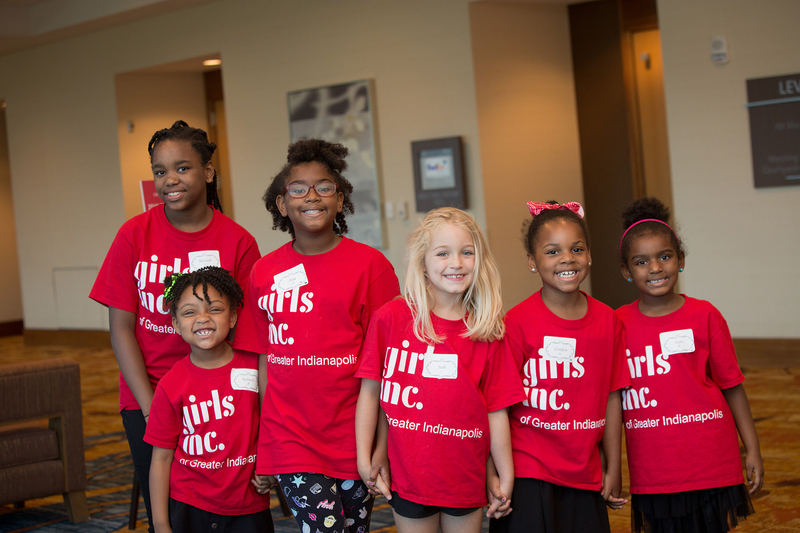 Since its inception, Girls Inc. Indy was a club-based organization, providing programming to girls in two facility locations in the Indianapolis area. However, in 2008, the organization shifted its model from a club-based operation to an outreach model, where all programming is done in 45 minute to one-hour increments during school time at partner schools. The outreach model was based on a strategy to reach a higher quantity of girls and to reduce overhead by leveraging borrowed space and volunteer facilitation of programs to drive costs down. Currently, the Greater Indianapolis affiliate is charged with serving Marion, Boone, Hamilton, and Hendricks counties; however, the organization serves very few girls in the latter three counties. In 2018, Girls Inc. served 3,984 girls through 425 programs. Without our 98 program partners and over 300 volunteers, this would not be possible. Of the total 3,984 girls we served in 2018, 46% were African American, 27% Caucasian, 14% Hispanic/Latina, 6% Biracial/Multiracial, 2% Asian, 1% other, and 4% unknown. Of this total, around 70% receive free or reduced lunch at school. Want to join Girls Inc. of Greater Indianapolis? Make a difference for greater Indianapolis girls. Learn how to lead a program or volunteer for Girls Inc. of Greater Indianapolis by learning about our programs or contacting us today. Have questions? Visit our FAQ page for more information about Girls Inc.